Blood Red Shoes and Pulled Apart By Horses have spent time touring together, share similar tastes and influences, enjoy drinking and also wrestling each other for sport. Therefore, it's only right that they should also share a record together! Covered Records is the brainchild of Pulled Apart By Horses guitarist James Brown, the idea being to release a series of 7" singles where bands cover each other's songs. 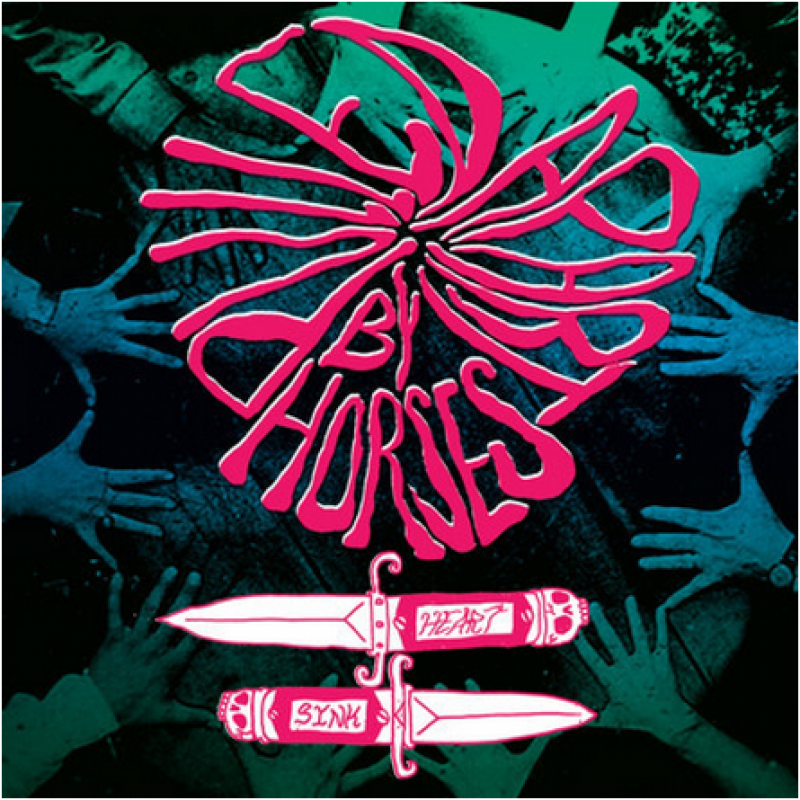 Quite rightly, the first release features Pulled Apart By Horses attacking ‘Heartsink' by touring partners and close friends Blood Red Shoes, whilst on the flip side Blood Red Shoes cover the Horses rollicking ‘Get Off My Ghost Train'. Steve Ansell from Blood Red Shoes says about the release "We are kindred spirits and it's about time we did this split we've been talking about for 3 years. We chose our favourite tune of theirs and sleazed it out a bit," and James from PABH said "We thought this would be an amazing idea and pretty cool for fans. So chuffed it came together." 2010 also saw Blood Red Shoes and PABH on the road together in the UK & Europe and since then have shared stages at festivals including the main stage at Reading & Leeds festivals this year. Blood Red Shoes play Shepherd's Bush Empire this coming Tuesday 22nd January. It's rumored that Pulled Apart By Horses' guitarist James Brown may be joining the band onstage to. Don't miss it!